If you have been keeping up with our blog, we have been going over all the benefits of drinking red wine. While red wine is delicious and unique, it is also great for our overall health. At Silk Road Transportation, we want to let you know why you should be coming on wine tours with us to Santa Ynez Valley. Our transportation company has comfortable and fully equipped vehicles to take you on your wine tour, so all you need to worry about is all the delicious wines you will be tasting and enjoying. 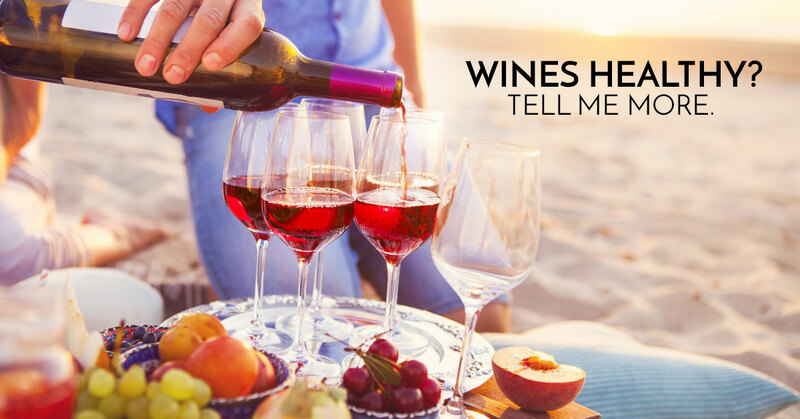 In this post, we are going to continue to let you in on all of red wine’s little secrets and how it benefits your health. In our last post, we were going over the benefits that antioxidants give your body. Another extreme benefit to sipping on wine, and the antioxidants inside, is that they keep you feeling happy and healthy. Antioxidants can help the body fight off different types of infections as well as safeguard cells from free radicals, possibly saving you from cancer and other serious diseases. Resveratrol is one of the best components of wine and it comes from the most prominent ingredient to make wine, the grapes. This natural compound is responsible for helping level out your blood pressure, keeping your heart healthy, and now potentially combatting cancer cells. If you were to drink a few glasses of wine a week, there is a high likelihood you would be able to destroy cancerous cells. Resveratrol may possibly be responsible for hindering an important action within a cancer-feeding component. When you are deciding to get healthy and possibly change up your eating habits, usually this involves cutting out a lot of substances you may thoroughly enjoy. One thing you don’t have to say goodbye to is wine. Wine has another natural compound in it called piceatannol, which is a result of your body breaking down and converting your resveratrol. Piceatannol may be responsible for preventing new fat cells to form. This natural compound can grip onto the insulin receptors of your fat cells and block the pathway for the cells to mature and grow. So, grape salad may not be a bad dinner option after all. Wine with almost any meal is always a great choice in our book. Well, instead of drinking with dinner, why not include the red wine in with your dish! Knowing all the health benefits available from wine, it might be wise to try and include it every chance you get. There are ways you can create delicious and nutritious red wine sauces as well as an added ingredient. There are tons of recipes on the internet and you may be able to get some tips from others on the wine tours. Schedule Your Wine Tour Today! Red wine has many benefits besides being exquisite in taste. Knowing now that a glass of red wine can help get you in shape, keep your heart strong, and your cholesterol at bay should have you chomping at the bit to come on a Santa Ynez Valley wine tour. These wine tours are unique, fun, and educational for anyone who wants to know about wine. When you use Silk Road Transportation, you never have to worry about a thing. Our transportation company will be able to get you to your destination in comfort and style, every time. Book your wine tour today!